Innovation and technological development are racing ahead in Canada’s energy sector. But despite the potential benefits to business and society, innovative technology is often not adopted. Why not? The simple answer is that innovation often carries too much risk – financial, technical, market, and – not least of all – regulatory. This can result in “a race to be second,” where companies jockey to be second in line to adopt an innovation, reaping the benefits relatively early while devolving the costs, risks and timeline onto the first adopter. The Canada West Foundation is undertaking a series of research and convening activities to address key questions in the context of energy innovation. For example: How do we ensure responsible outcomes without stifling the adoption of innovations necessary to achieve our environmental, economic and social goals? What are the barriers and opportunities in our regulatory process and culture for the adoption of innovations? Can we square both a prevention and promotion mindset? 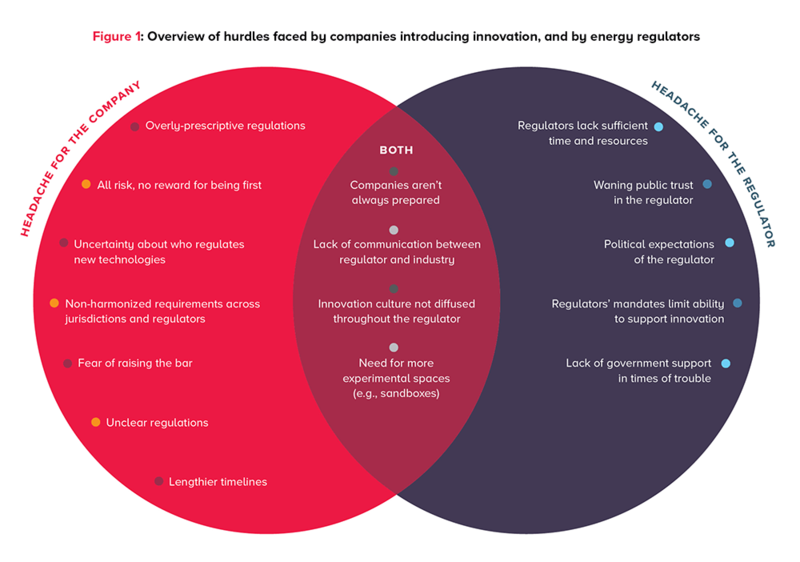 We identified 16 key hurdles that energy innovators and energy regulators may face when attempting to introduce innovation. As shown in Figure 1, some represent headaches that primarily are experienced by the companies introducing innovation; others represent pressures that energy regulators themselves face. Not all the hurdles identified in this policy brief are equally important – nor are they all equally solvable. Participants who attended a January 2019 workshop on this issue ranked each of the identified problems in terms of their importance and solvability. The results are shown in Figure 2. The three hurdles that were identified as the most important were: a) overly prescriptive regulations; b) the need for more experimental spaces such as sandboxes; and c) the need for the regulator to have sufficient time and resources to develop expertise on new technologies. Interestingly, these three hurdles were also ranked by participants as among the most solvable among the issues identified. In future reports, we will explore potential solutions that could help address these challenges. Overly prescriptive regulations are focused on rules and standards rather than performance and outcomes. This lack of flexibility comprises one of the most important barriers to introducing innovation. In a prescriptive environment, companies fear introducing technology that has not been previously tested and approved – or may be outright barred from doing so. There is substantial risk for attempting to be first in innovation – it costs more, takes longer and the outcome is unknown. 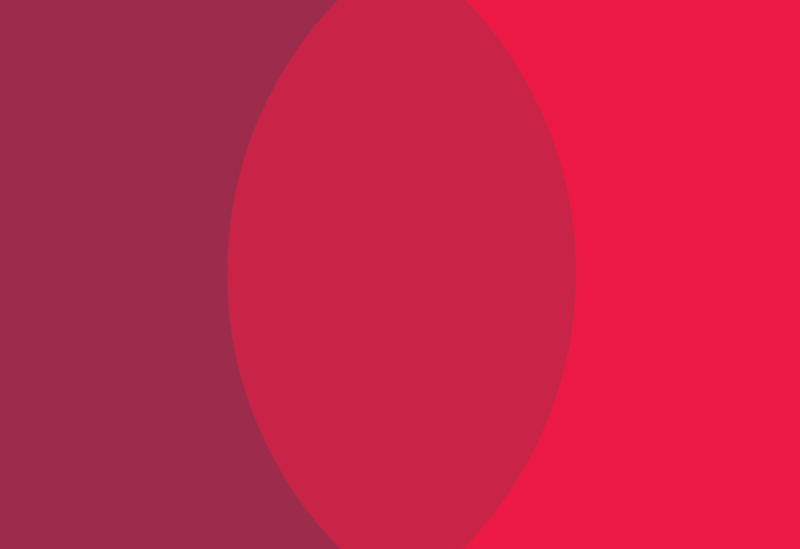 When a regulator has to approve the innovation, this adds an extra layer of uncertainty. For some innovations, there is a market reward. But for many innovations intended to solve environmental problems, there is no clear market reward, and also no regulatory reward – just additional time and cost. If the market won’t reward the innovation, and the regulator won’t reward the innovation, why would a company bother? When a new technology is developed, there may be uncertainty about how it should be classified, and thus which regulator has authority. Even within a regulator, there can be artificial divisions that divide workload into different streams (e.g., energy, forestry, parks). Technology and innovation often don’t fit neatly into these arbitrary boxes. Often this means the innovator will not be able to receive a binary yes/no response from the regulator, and instead will wander into a “grey area” where nobody can provide an answer. Examples of new technologies that face this issue in Western Canada include energy storage, tidal energy, biogas and some forms of geothermal energy. Many regulatory requirements are not harmonized across agencies or jurisdictions, which can lead to confusion and duplication of effort. In some cases, the multiple regulators involved in permitting different aspects of an energy project in a single jurisdiction don’t even speak to one another. Introducing a new and better technology may result in the requirement for it to be used uniformly, even when it is not cost-effective or suitable to do so. In an attempt to be flexible and accommodating to innovation, the language of regulations can sometimes be confusing or unclear. Because something that is new doesn’t have a proven track record, there may be lengthy delays while the regulator grapples with assessing its suitability. Two-way communication between the regulator and industry is critical. The regulator needs to help industry understand what is required. At the same time, industry needs to keep the regulator in the loop on what is coming up, so it can prepare. Both need to have conversations about their respective roles in promoting innovative technologies. Some companies – especially those that are smaller and/or new – may not have sufficient knowledge or resources to prepare the type of information and evidence that the regulator requires in order to be assured that the innovation will not harm the environment or public health. Supporting innovation requires an intentional, committed cultural shift within the regulator. This requires diffusing an innovation-focused or outcomes-based culture throughout the regulator, and not just within certain departments or at the executive level. Without full diffusion, the success of any particular application depends on whose desk it lands on. Experimental spaces – or “sandboxes” – allow regulators to work closely with a project proponent on an unproven innovative technology to test its effectiveness and impacts. Right now, the use of sandboxes appears to be the exception rather than the norm. The regulator needs to develop sufficient technical expertise to be able to properly understand and assess the innovation. This takes time and also requires sufficient resource in terms of money and people. This poses a particular challenge at this time, as pay cuts and/or tight budgets make it difficult to attract or keep key staff with technical knowledge. 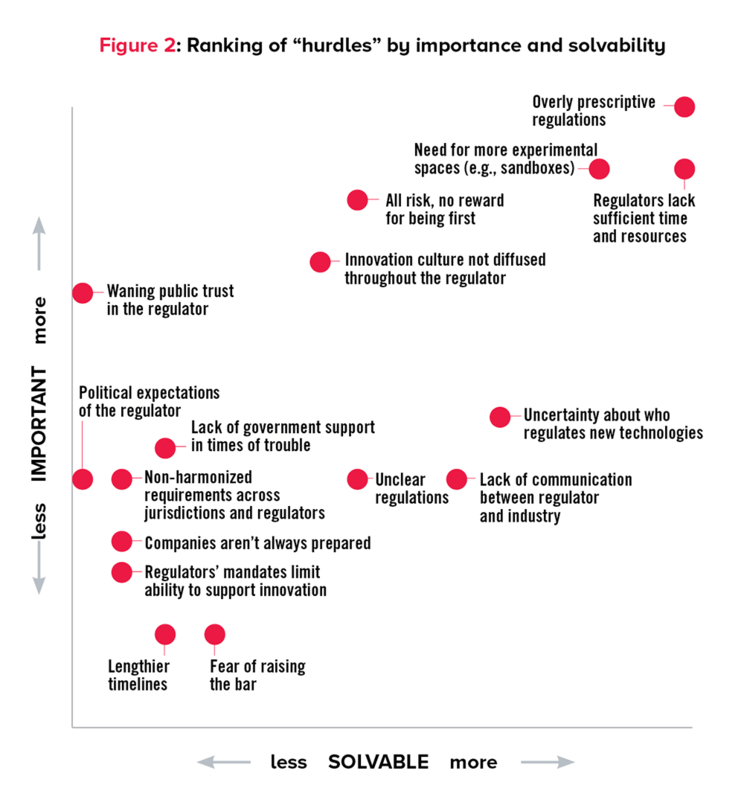 There appears to be an increasing lack of public trust in regulators. A variety of “facts” are available, and most people don’t have deep technical knowledge. This has led to a loss of “true and factual information” that is widely accepted by the public, and has contributed to people losing trust in regulators as authorities. A regulator can also feel pressured by public expectation of what a regulatory experience should look like; and anything that appears too “easy” or too “cozy” may undermine the legitimacy of the regulator. Innovation should be a non-partisan issue – but it isn’t always. Different governments have different expectations for regulators, as well as different political preferences. When a new government is voted in, there may be a period of uncertainty for a regulator – or its mandate may change. In addition, a regulator is sometimes used by political leaders for political ends – this undermines the independence of the regulator and makes it hard to maintain credibility. Regulators’ mandates are set out in legislation, and unless innovation (or any desirable outcome, such as reducing GHG emissions) is specifically supported, the way in which a regulator is required to operate may undercut its ability to positively promote innovative approaches. Given resource constraints, it can be difficult for regulators to justify the deployment of resources to innovation efforts that are outside of the defined regulatory jurisdiction or legislative scheme. Finally, regulators need political leadership to “watch their backs” if problems arise. Knowing that government will back them up when there are problems can help regulators get over the fear of being first. The Canada West Foundation and the Energy Futures Lab intend to provide additional opportunities in the future to continue these conversations. Throughout 2019, we plan to continue publishing reports and case studies on this topic – and to hold additional workshops and roundtables that engage innovators, regulators and others who are instrumental to the successful adoption of innovation in developing solutions. 1 The findings were generated from an Hon. James A. Richardson Discovery Roundtable workshop held in January 2019, hosted jointly by the Canada West Foundation and the Energy Futures Lab.